The Natalie Rope Dining Chair is not only eye catching and interesting; it is also a great choice for outdoor dining and pairs well with so many different dining tables. 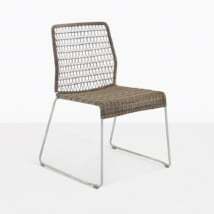 It’s a great and simple way to reinvent your outdoor dining space with style and comfort. This unique and airy outdoor dining chair is carefully hand woven with rope that is made with durable polypropylene fibers. 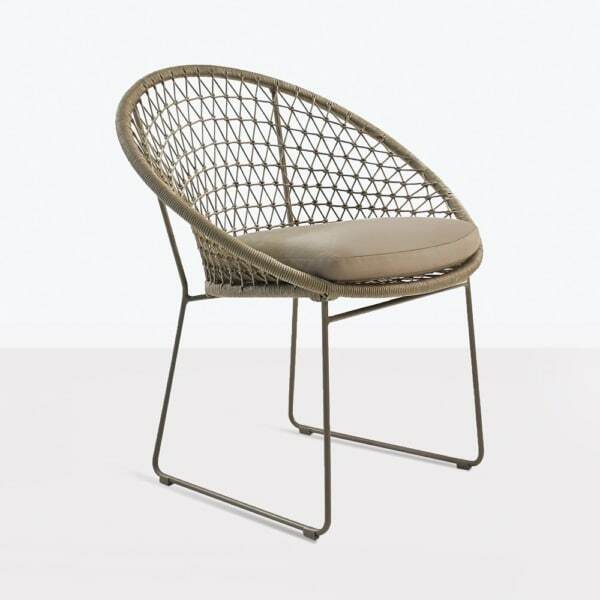 The fantastic pattern along with the rounded frame make this chair a standout. 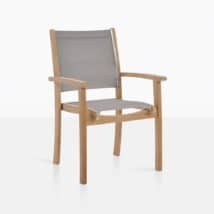 We also include a Sunbrella cushion for the perfect amount of comfort so you can enjoy long meals with family and friends. 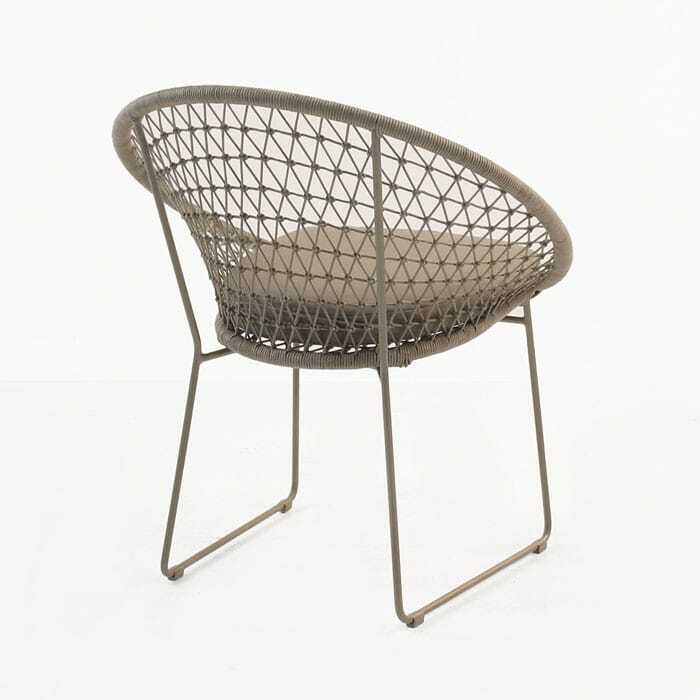 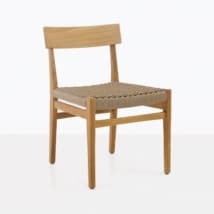 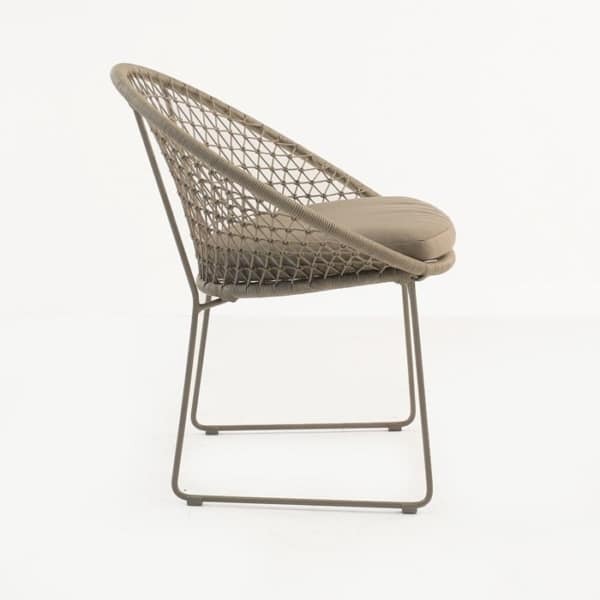 W29.5" x D26" x H32"
The Natalie Rope Dining chair is designed to be durable for the outdoors. 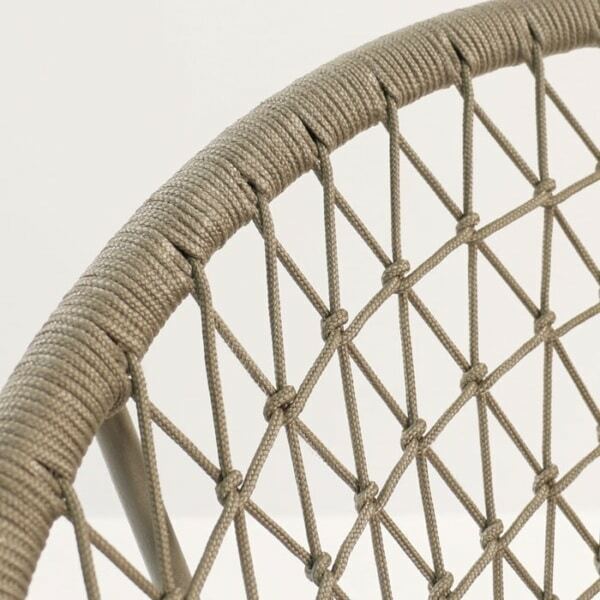 Along with the polypropylene rope and Sunbrella cushion, the chair frame is made with powder-coated steel. 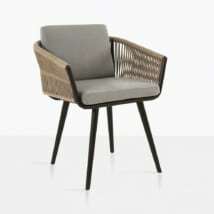 We also have a Relaxing chair available in this style.